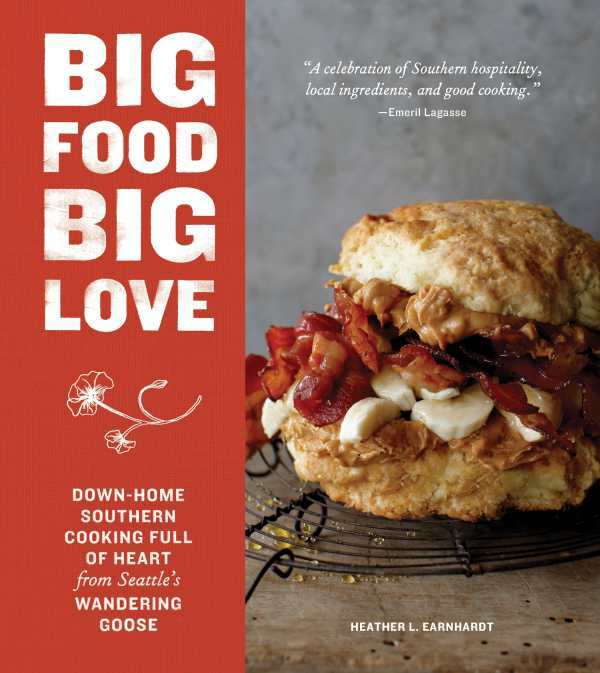 Big Food Big Love is a mouthwatering must for anyone who wants to master cooking, and devouring, Southern fare. Big Food Big Love, by Heather L. Earnhardt, invites cooks from across culinary traditions into the generous joy of Southern cuisine. Earnhardt was born and raised in the South, though she has since settled as a restaurateur in Seattle at the Wandering Goose. Her recipe book honors Southern tradition without being afraid to take lifelong favorites in a new direction. Recipes reflect the locales that marked its chef’s life, particularly the Carolinas, Virginia, and New Orleans, and offer classic elements—such as vinegar sauce, pimento cheese, pralines, she-crab soup, fried oysters, and more—with creative flare, a testament to a well-traveled culinary style that honors deep, delicious roots. Recipes are included to span the day, from the heartiest of breakfasts, with Country Breakfast Sausage and Spicy Skillet Potatoes, to the most satisfying of desserts, with offerings like Bittersweet Chocolate Bread Pudding. Decadently, there is even a whole chapter on biscuits. Earnhardt’s restaurant is known for its heartfelt favorite foods that maintain a connection to her Southern roots. Her voice, recipes, and dedication to the craft of Southern cooking are all evident. Her writing maintains a genuine yet understated Southern charm, particularly in the introductory chapters that discuss her background, including her childhood, and showcase the idea that Southern cooking is a personal, familial endeavor. Recipes have humorous titles and directions that are clear and practical. Dishes are intricate enough to be delicious, but simple enough to be accessible to aspiring home cooks. This is also a great primer for more experienced chefs who want to expand their repertoires. The generous yet compact trim size and the clean type make it easy to reference this book in the kitchen. The images are appealing, bringing immediate inspiration to the question What’s for dinner?